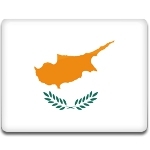 Greek Cypriot National Day is annually observed by the Cypriots on April 1. It commemorates the establishment of EOKA, a Greek Cypriot nationalist organization. EOKA was organized in the 1950s to fight for country's independence from Britain and unification between Greece and Cyprus. The major event was on April 1, 1955, when the organization started military actions against Britain. It launched simultaneous attacks on the British controlled Cyprus Broadcasting Station in Nicosia, on the British Army's Wolseley barracks and on targets in Famagusta. The military struggle continued till 1959 hoping that the British would grant their petition. EOKA declared a cease fire on August 16, 1960 under the Zürich agreement. According to it, Cyprus achieved independence from the United Kingdom, but the union with Greece was denied. Celebration of Greek Cypriot National Day has a religious character. People, especially students and members of the institutions, attend churches. Schools organize educational programs to educate students about the history behind the EOKA fight.